We screen and evaluate clients of all ages. 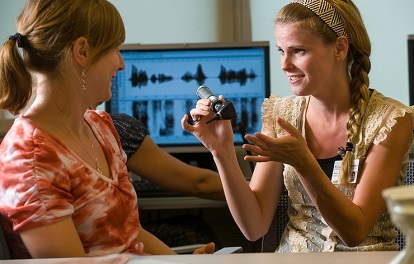 Our audiology evaluations determine a person's hearing level and monitor changes in their hearing that might result from an injury, a medical condition, excessive noise or congenital hearing loss. We help people with hearing loss enhance their communication skills and train them to make use of any residual hearing. Our clients include those with congenital hearing loss, acquired hearing loss and cochlear implants. Auditory processing helps us correctly understand and process the sounds we receive. Deficits can affect a person's ability to listen in noisy environments, determine the direction and location of sounds and respond to the source of a sound. We use listening exercises to teach strategies to improve listening, comprehension and auditory processing, and we help adapt the client's home, school and work environment to increase auditory access.